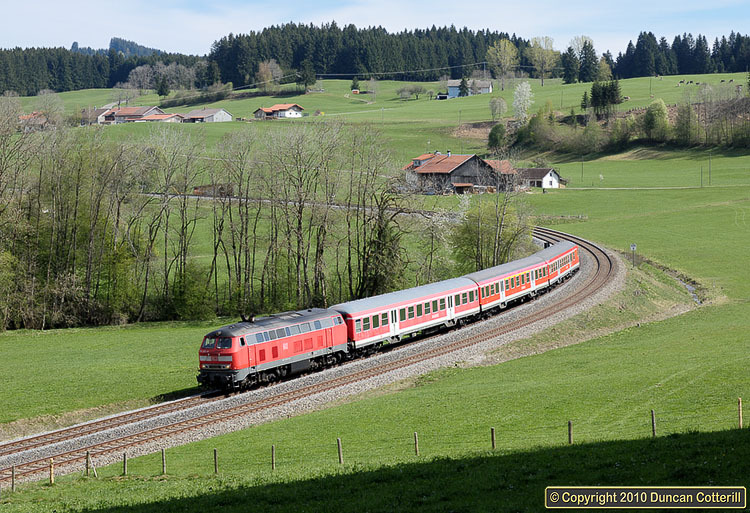 Two years earlier, red DB Regio trains hauled by class 218 diesels were nothing unusual on the Allgäubahn west of Immenstadt but since the December 2007 timetable change they had become rare. 218.202 was working train 75774 west around the Harbatshofen curve on the afternoon of 25 April 2009. This was a Saturdays only empty stock working from Kempten to Lindau.